iDALI is a digital lighting control solution which is IEC62386 standard compliant. 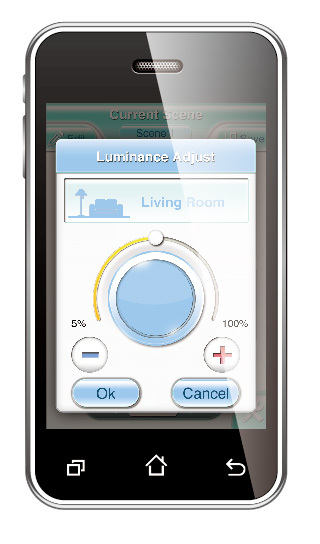 It is the perfect app for controlling your lights and create your light scenes for every moment. iDALI app allows users to group their various lights and control them with a single touch: one tap to turn them on or off, a swipe to the right to increase their brightness. Simply connect any DALI compatible device you will have a complete lighting controller in the smart phone of your hand.